Cecilie kindly helped us kindly all the way through the buying process. She sent us prospects that fit our requirements, arranged viewings and put us in touch with a skilled attorney. We found our dream home, thanks to very good and professional help from Cecilie. We give her our very best recommendation. Merete. We received professional and friendly assistance throughout the process of purchasing our new home in Spain. Cecilie sent us prospects by email before our departure and organized an enjoyable viewing trip for us. After we found “our” house she put us in touch with a skilled Spanish lawyer. We give her our highest recommendation. M. Pettersen. 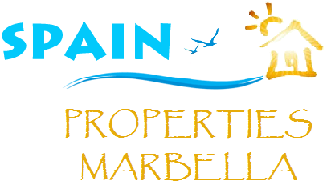 I want to thank everyone from Spain Properties Marbella for helping find our perfect second home on the Costa Del Sol. We bought over the telephone blind, we paid a deposit to an independent lawyer recommended by Lee Ward, one of the directors of Spain Properties Marbella. We were not sure what to actually expect when we arrived in Spain 2 months later, but we found our property in Calahonda just as Lee had explained and promised it would be. I can highly recommend all the team of Spain Properties Marbella Kenny Raffles.Very happy client! for a price we never dreamt we would realise. Their consultant Craig Brown was very professional, focused and excellent in giving feed back on viewings.